Shaderlight is an interactive and intuitive 3D rendering plug-in for SketchUp that enables anyone to transform a SketchUp model in to a photorealistic render. Shaderlight is an interactive rendering software plug-in to SketchUp that lets you create high quality images, quickly and simply. In addition to SketchUp 2019 compatibility, Shaderlight includes a number of workflow enhancements including the ability to render transparent materials in chalk renders. Shaderlight fits seamlessly with your workflow so you don't have to be a SketchUp rendering software expert to get great results. Transparent objects can now remain transparent in chalk renders. Shaderlight's render settings can now be saved independently for each SketchUp scene. macOS Mojave's dark mode is supported in the Shaderlight render window. Shaderlight prevents a computer from entering sleep mode while rendering. Shaderlight will now suspend App Nap for the plug-in while a render is in progress on macOS. The addition of a 4K UHD output resolution preset. Shaderlight warns when using the 'Quit Shaderlight' menu option on macOS while rendering. 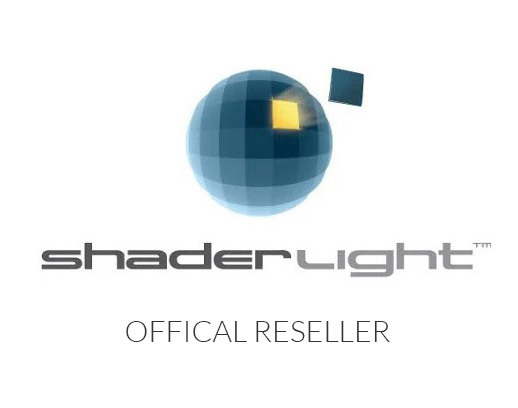 Shaderlight features transparent materials designed to deliver greatly enhanced realism when rendering transparent materials such as large bodies of water and thick, solid glass objects. Most of the Transparent materials types use a physically-based model to correctly account for the absorption of light as it travels through the material. 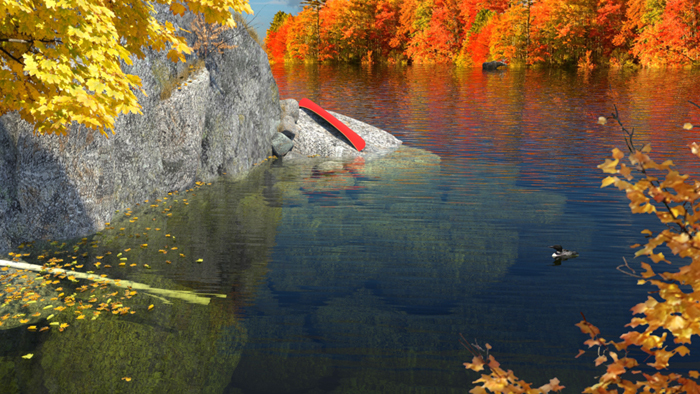 This means that thicker objects absorb more light and appear more intensely coloured and darker than thinner objects and provides more realistic renders of deep bodies of water and thick glass objects, for example. The model is used by the Transparent Solid Glass, Solid Frosted Glass, Liquid and Diamond material presets. To give a greater range of transparencies, SketchUp's opacity slider is now used to modulate the amount of absorption in these materials. In previous versions of Shaderlight, the opacity slider in SketchUp's material editor had no effect on the Shaderlight render. Shaderlight gives you a choice of rendering modes to optimise your workflow. Choose from progressive rendering with auto-updates for interactive feedback, on demand updates or single (tiled) mode to render at full quality. Close integration with SketchUp will make you feel right at home - render directly from your SketchUp toolbar, there’s no need to import your model first. Shaderlight’s fantastic Replace Me feature lets you render detailed models without filling your SketchUp scene with geometry. Choose from a library of Replace Me models or create your own with the Replace Me creator plugin. Create real world lighting using Shaderlight ready light fixtures with embedded IES files to give you the exact light and shadow detail the manufacturer intended. Add accurate materials and textures to your 3d model with simple presets direct from SketchUp, then use the adjustable settings to get the perfect finish. Illuminate your scene using SketchUp's sun, image based lighting or our physical sky. For realistic interiors simply add a point, spot, area, portal or IES light from Shaderlight's simple light editor. It's never been simpler to show your 3d model in its real-life setting using image based lighting or physical sky and your own background image. Professional lighting images and backgrounds are included in Shaderlight Pro. Create photorealistic animations direct from SketchUp with this brand new feature available in Shaderlight Pro. Render plans, elevations and isometric viewpoints or choose Chalk Render mode to produce form studies for a quick, clear presentation of your design intent. Whether you’re on a Mac or a PC, running SketchUp Free or Pro, if you’re modelling in SketchUp then you can render with Shaderlight.